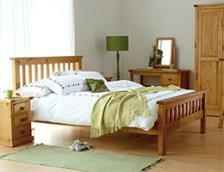 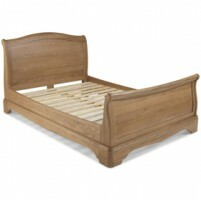 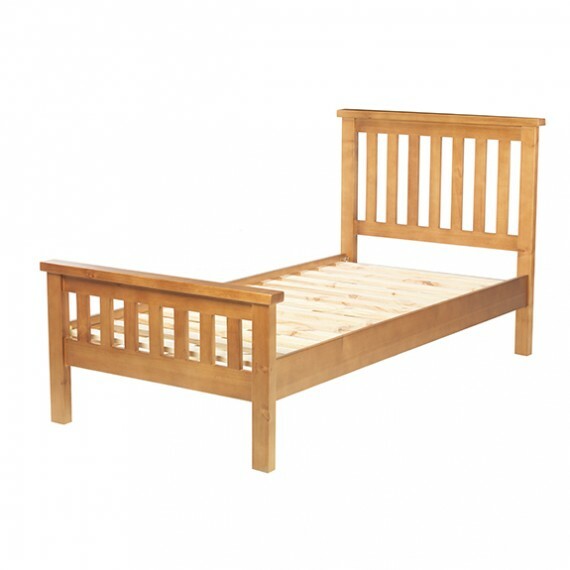 This snuggly single has been expertly crafted from solid pine and will add rustic charm and contemporary elegance to any bedroom. 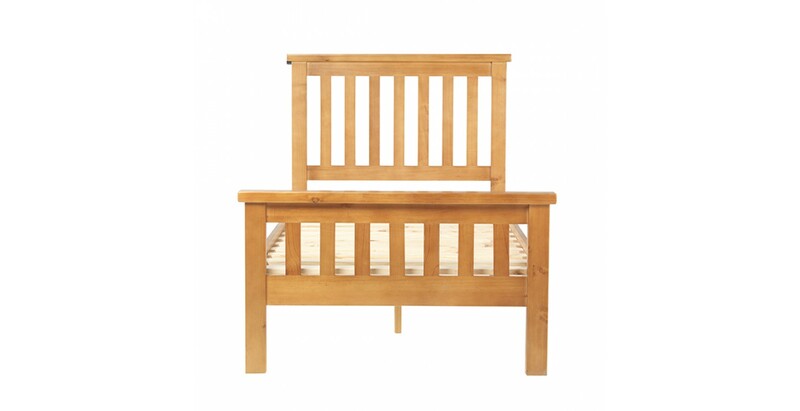 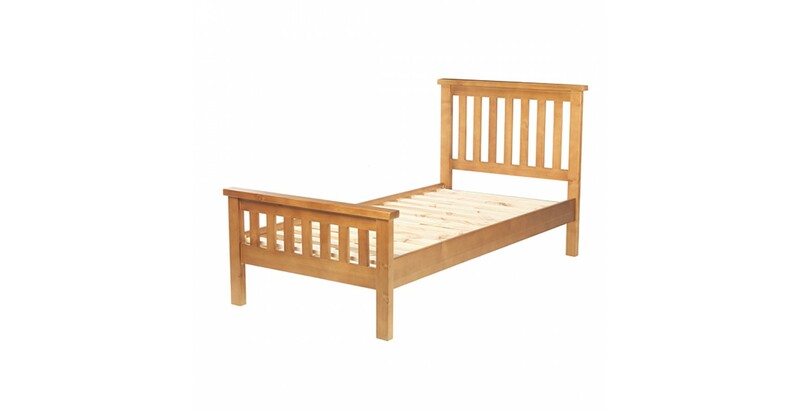 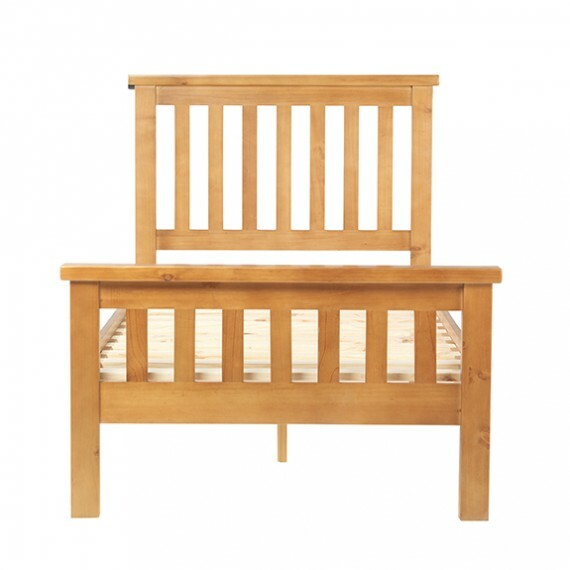 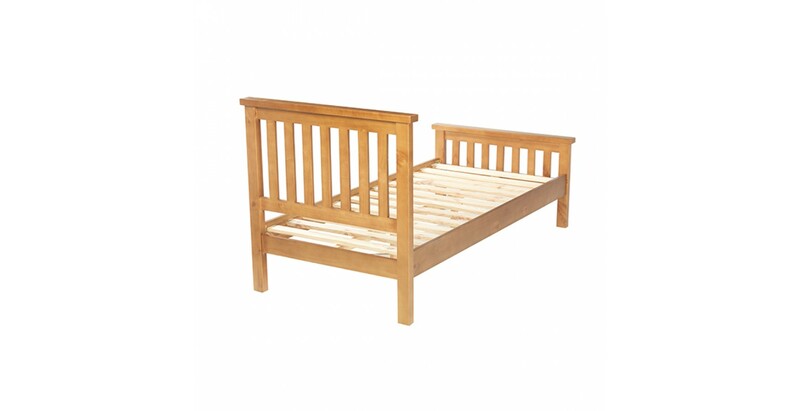 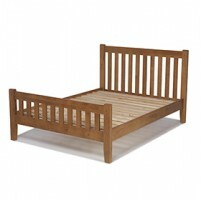 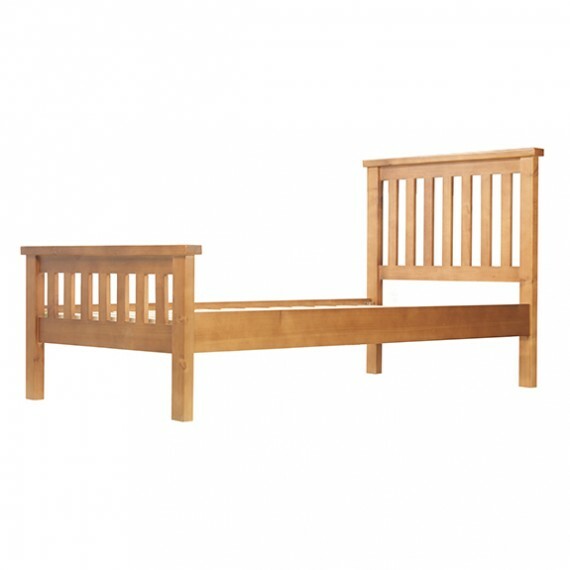 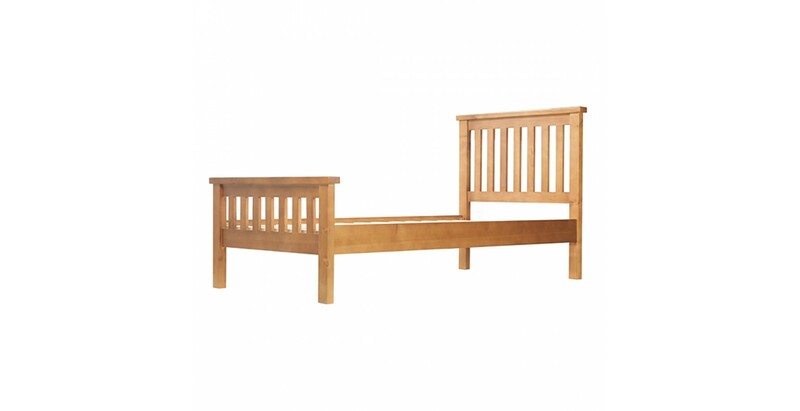 Simply designed and solidly made with thick slats on the head and foot-boards, it's been given a light oak stain and a matt lacquer finish to give it a quality look and feel that makes a mockery of its great value price tag. 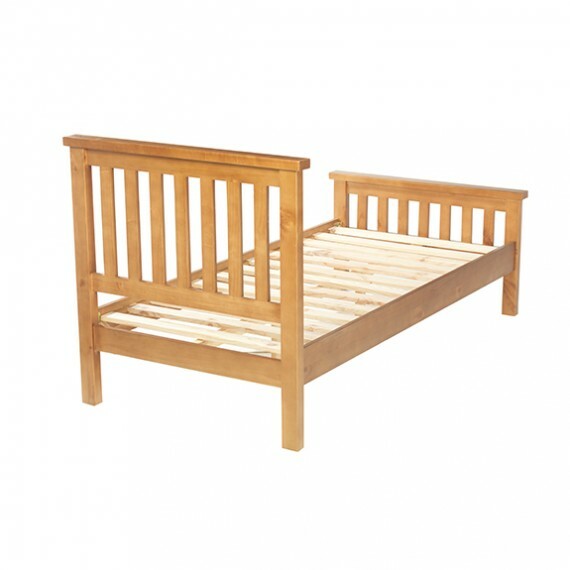 Ideal for a child's room or a guest room, its timeless appeal means it will never look out of place no matter how often you change your wallpaper.